Archbishop Diarmuid Martin has appointed Dublin Auxiliary, Bishop Eamonn Walsh, as head of the newly-established Office for Clergy in the Dublin Archdiocese. The announcement was made in the 2013 diocesan appointments list which was published on Thursday. The role involves co-ordinating all aspects of the theological, pastoral formation and pastoral care of the diocese’s 413 priests, as well as its deacons and seminarians. Sixty-nine-year-old Bishop Walsh is a member of the Episcopal Commission for Pastoral Care, the Council for Immigrants and Vice Chair of the Irish Bishops’ Drugs Initiative. He has served as an auxiliary bishop of Dublin for 23 years since 1990. In December 2009, he tendered his resignation to Pope Benedict following the publication of the Murphy Report. However, on 11 August 2010 Pope Benedict XVI announced that he would not be accepting their resignations and that both Bishop Walsh and Bishop Field would return to ministry in Dublin. He was widely praised for his role as Administrator of the diocese of Ferns between 2002 and 2006 and his facilitation of the investigations which resulted in the 2005 Ferns Report. His appointment in Ferns followed the resignation of Bishop Brendan Comiskey over his cover-up of child sexual abuse scandals by priests such as the notorious Fr Sean Fortune. In May 1999, Bishop Walsh was appointed as chairman of the newly established Irish Bishops’ Liaison Committee on Child Abuse. Its initial purpose was to assist the Laffoy Commission, which later became the Ryan Commission. 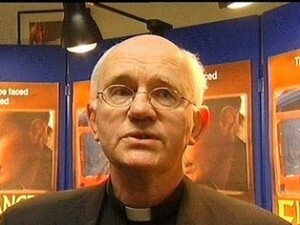 Bishop Walsh previously served as a secretary between 1987 and 1990 to the Archbishop of the time, Dr Desmond Connell.